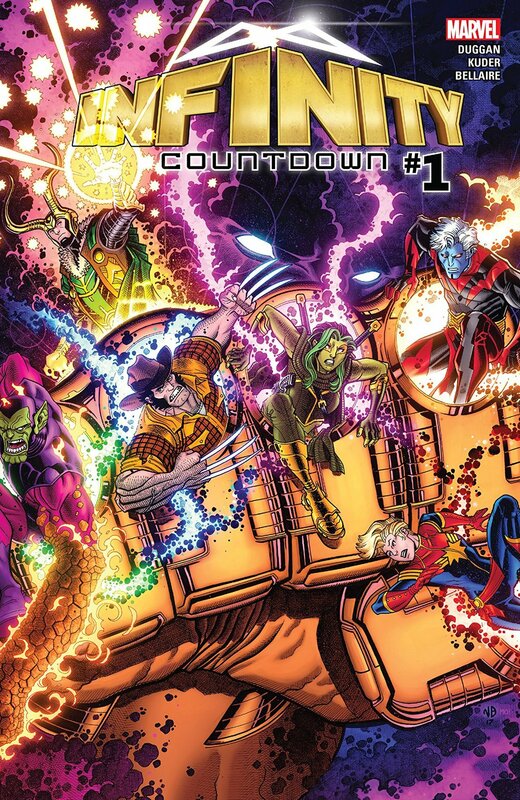 Leading off this week of books is Marvel Comic's Infinity Countdown #1! As the Infinity Stones reappear around the cosmos, the ultimate race for power is on!! Battles will be fought, blood will be spilled, lives will be lost... all as the greatest cosmic heroes and villains vie for possession of the Power Stone, towering over a remote asteroid, somehow grown to the size of a building. Watch as the path to Infinity opens before your eyes and the END lies near... Plus two big second issues come out as well, be sure to check out Doctor Strange Damnation #2 and X-Men Red #2! Over at DC look for Batman White Knight #6, continuing that excellent series, plus Batman #42, Superman #42, and more! Plus two HUGE new #1 issues will be released by Image comics! Check out Oblivion Song #1 and Gideon Falls #1 to see what comes next from the minds of Robert Kirkman and Jeff Lemire! Click here to see a tentative list of new comics shipping next Wednesday, March 14!